Home » Guides » All about Racing Drone FPV | How to use FPV Drones? All about Racing Drone FPV | How to use FPV Drones? 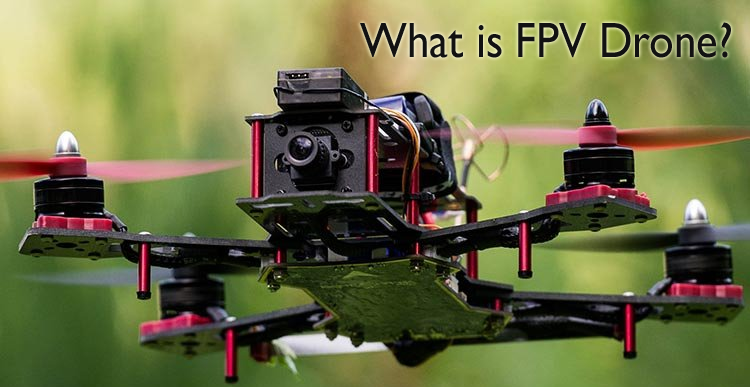 Before beginning the article about What is FPV drone, let us first discuss what does FPV stands for. FPV stands for First person view. It is also known as a remote-person view or simply video piloting. FPV drone is an unmanned aircraft without an onboard human pilot. It is a method basically to control a radio-controlled vehicle or unmanned aerial vehicle (UAV) from the pilot’s viewpoint. There are different types of FPV drones like a toy drone, hobby drone, professional drone, selfie drone, and racing drone. FPV racing drone is a type of drone which is having an onboard camera that transmits real-time videos to the pilot while flying through a racing course. The racing course consists of many tunnels, gates, flags, and obstacles. FPV racing is a type of sport where participants control drones equipped with cameras. The goal is to complete the set course as early as possible. Racing began in Australia in 2013 with a number of amateur pilots. F.P.V. Racing technology is a new technology which is constantly being improved. The images are transmitted by radio waves having frequencies of 2.4GHz or 5.8 GHz. FPV racing drone has multirotor controls that work independently or together to form complex movements. These movements help to find the best line on the track. Roll: It maneuvers the drone in the left or right direction. Pitch: It maneuvers the drone in forwarding or backward direction. It also tilts the drone. Yaw: It rotates the drone in the left or right direction. It also helps in changing the directions of FPV drone while flying. Throttle: It adjusts the height or altitude of FPV drone. Trim: It adjusts the roll, pitch, yaw, and throttle if they are off balance. Rudder: It controls the yaw as opposed to throttling. It is same as a left stick. Aileron: It controls roll and is same as the right stick. Elevator: It controls the pitch and is same as the right stick. The Frame: It connects all the other components. The motor: They spin the propellers. An FPV drone has four motors. Electric speed controls (ESCs): These are wired components that connect motors and battery. They relay signals to the battery. Flight control board: It controls accelerometers and gyroscopes. Radio transmitter: It is a hand-held device that maneuvers the FPV drone and controls its flight pattern. It sends signals to the drone. Propellers: They are used for spinning according to the manual controls of the pilot. Camera: It is used for aerial videography and photography. Battery: It is the power source of drone. Charger: It charges the battery. Manual: It is similar to a helicopter. In this mode, the drone will not come back to its original position once it is tilted. Attitude: In this mode, the drone will come back to its original position once the sticks are centered. GPS Hold: This mode is same as the attitude mode but using a GPS. Back turn: It is a circular turn in clockwise or anti-clockwise direction. Hovering: It means staying in the same position in the air. Figure 8: It is flying in ‘Figure 8’ pattern. We must take into account some safety measures while flying this drone. We must always select large and open spaces like a park or a field for flying an FPV drone. Some people like to fly on grass as it provides a cushion in case of a crash landing. 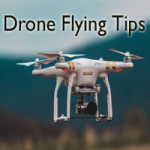 We should look for wires, buildings, trees, and other obstructions while flying an F.P.V Drone. Pedestrians and animals should also be watched for carefully. Wind is a big obstruction for flying drones. We should always try to fly the drones in the morning when it is less windy. We should also check for if the different parts like propellers, motors, the transmitter of the drone are working perfectly or not. For more information, keep in touch with our Best Flying Drone portal. 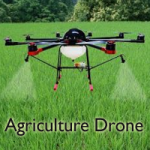 Different Applications of Drone | What is use of Drone for Commercial, Military purpose? If you are looking for the Best Racing Drone 2019, or Perfect Drone with Camera, Photography? Then our site is just for you. For your easy access check our complete Drone Reviews to choose the Perfect one for your need. 2018 www.bestflyingdrone.com Design. All rights reserved.